Hito Steyerl’s series of projects at the Serpentine Galleries is positioned around ideas of ‘power’. Beginning from the premise that ‘power is the necessary condition for any digital technology’, the artist considers the multiple meanings of the word, including electrical currents, the ecological powers of plants or natural elements, and the complex networks of authority that shape our environments. Actual Reality$ is an augmented reality tool for the visualisation of data and collected testimonies, initiated by Hito Steyerl and developed collectively in collaboration with research partners including The Voice of Domestic Workers, Architects for Social Housing, Unite the Union Hotel Workers’ Branch, Disabled People Against Cuts and The Reclaiming Our Futures Alliance. – Download Actual Reality$ from the App Store or Google Play Store to your mobile device or tablet*. 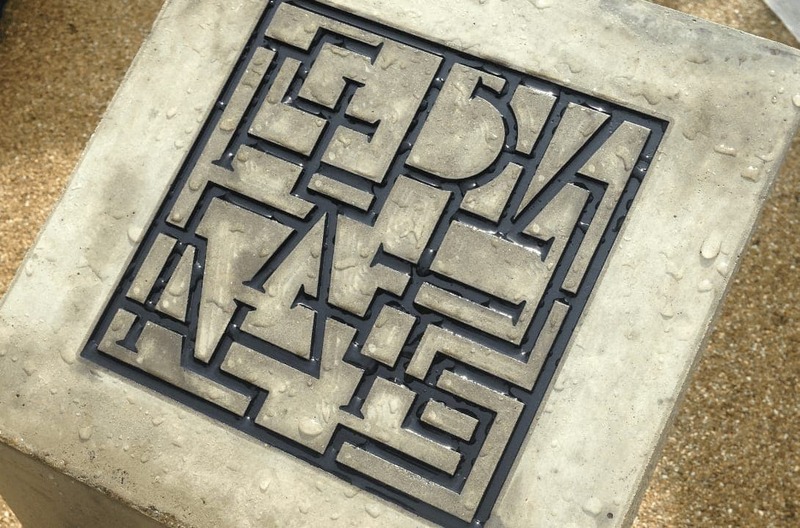 – When you are outside the front entrance of the Serpentine Sackler Gallery, open the app and follow the welcome guide. You will receive notifications that request the use of your device’s camera and location, please accept these to have the full experience of the augmented reality. This app does not collect or store your data. 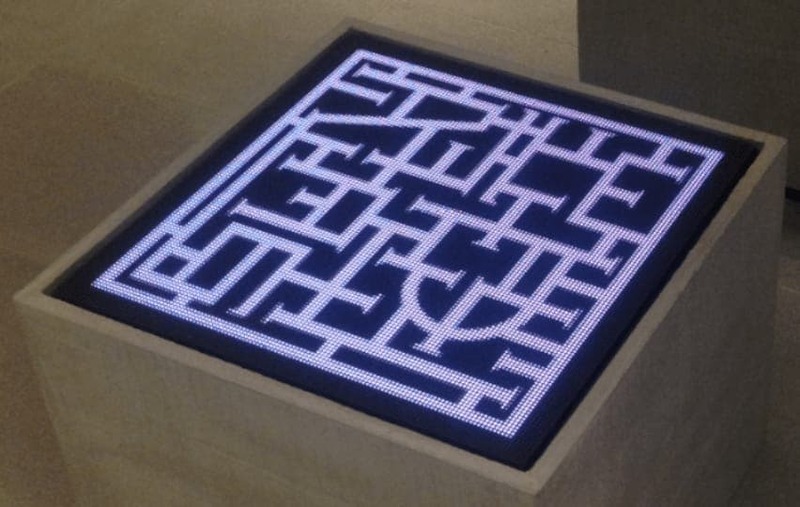 – Locate one of the three concrete sigils surrounding the gallery using the map, then use your tablet or device to scan the sigil code to view Actual Reality$. – As you view Actual Reality$, scan the virtual sigil codes to reveal more information about the data. – If at any point, you can no longer see the augmented reality, return to a sigil to rescan. – Information about the research partners and other data collecting and policy organisations and links to research reports are also available to view in the app, and can still be accessed when you are away from the Serpentine Galleries and out of range. 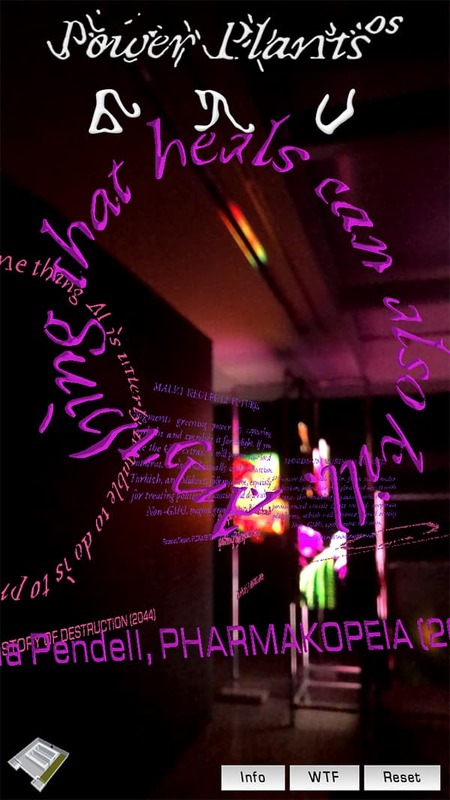 is an augmented reality tool for electronic devices initiated by Hito Steyerl. is a view into the future featuring predictions, botanical descriptions, and quotes from conversations with the project's research partners including Architects for Social Housing, Disabled People Against Cuts, Constantine Gras and The Voice of Domestic Workers. The app complements Steyerl’s video sculptures in the exhibition Power Plants at the Serpentine Galleries. – Download from the App Store or Google Play Store to your mobile device or tablet*. – In the exhibition Power Plants, open the app and follow the welcome guide. You will receive notifications that request the use of your device’s camera, please accept these to have the full experience of the augmented reality. This app does not collect or store your data. – Locate one of the fifteen animated sigils throughout the gallery, then use your tablet or device to scan the sigil code to view predictions, botanical descriptions, and quotes from conversations with the project’s research partners. – Information can still be viewed when you are away from the Serpentine Galleries and out of range. *iOS is supported on iPhone 6s and above. Android requires ARCore support and Android 8.0 or later. Actual Reality$ is open source so it can be replicated, reformatted and redistributed by any member of the public with alternative datasets, locations and architectures. For more information please contact us.